Hello, I'm looking for this [url=http://i.imgur.com/VCUZy9F.jpg]scan[/url] in a bigger resolution and without a water mark at the bottom. I used Google image search and iqdb.org but there is only small version of the scan. Does anyone have a bigger version of this? I'm looking for this scan in a bigger resolution and without a water mark at the bottom. I used Google image search and iqdb.org but there is only small version of the scan. Does anyone have a bigger version of this? that might not exactly be a scan there, that looks like someone's artwork, thus the reason for the scribble aka the watermark and info at the bottom of the piece in question. upon looking at it closer some of that is live action with some characters placed over it. what you could do is contact the person at the bottom of that image and see where they might have gotten that from. which is possibly impossible due to the site being shut down. 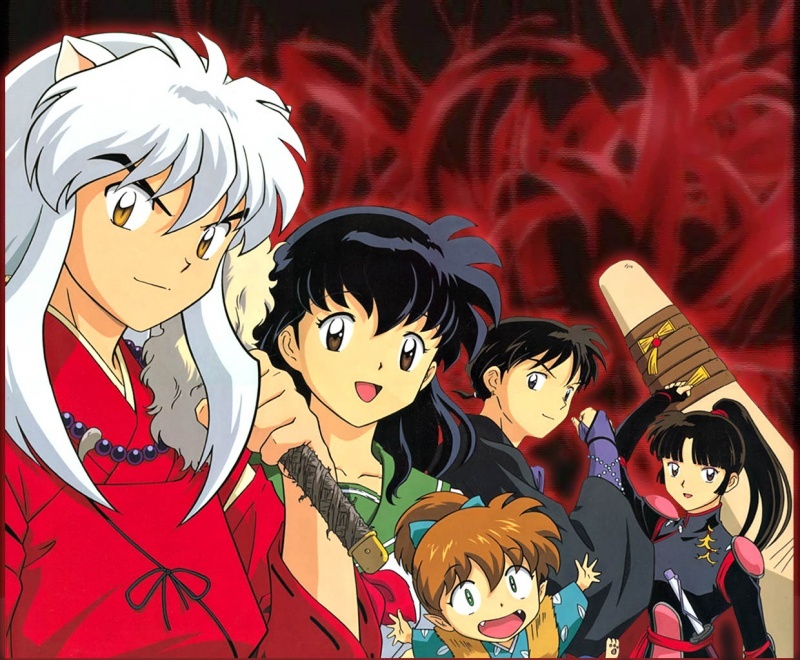 I did find a partial of that scan by simply using a different search engine, I use start page to search with myself, here's the people without the background in question [url=http://www.littleanimeworld.altervista.org/inuyasha/cast_inuyasha2.jpg]clicky[/url] hopefully that's a start for you, while you wait for others that can come around to help. but the one in question has been custom done, at least from what I can tell, of taking two things and merging them into something new. best of luck. [b]merged: 04-22-2016 ~ 07:38pm [/b] a merge edit, I found some stuff of the same thing here on MT, I thought I had seen it before, it is artwork [url=http://gallery.minitokyo.net/view/219854]clicky[/url] you can download this all that you wish, however if you want to use it and not be faced with copy right issues then you will have to contact the original artist and ask permission. 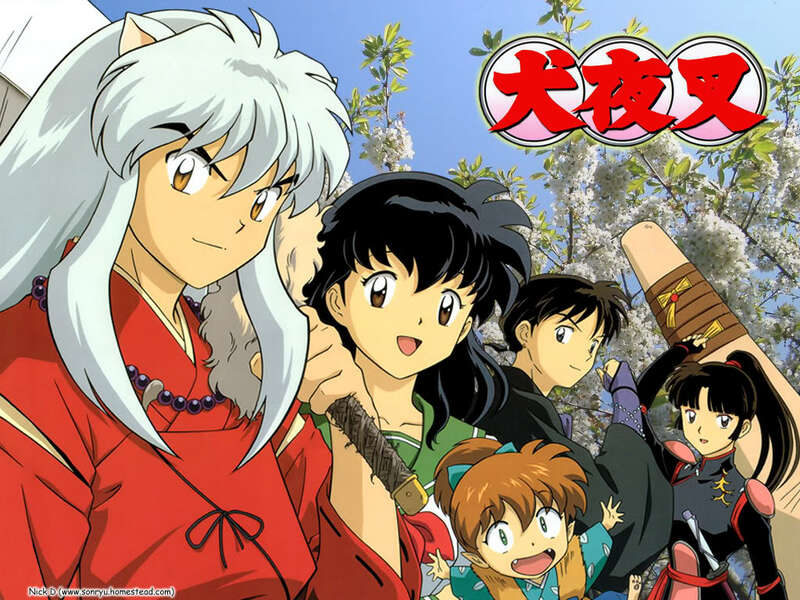 I don't believe I saw it further in [url=http://www.minitokyo.net/Inuyasha]here[/url] but feel free to check around and in the site, I'm certain there's something while you wait for more assistance. that might not exactly be a scan there, that looks like someone's artwork, thus the reason for the scribble aka the watermark and info at the bottom of the piece in question. upon looking at it closer some of that is live action with some characters placed over it. what you could do is contact the person at the bottom of that image and see where they might have gotten that from. which is possibly impossible due to the site being shut down. I did find a partial of that scan by simply using a different search engine, I use start page to search with myself, here's the people without the background in question clicky hopefully that's a start for you, while you wait for others that can come around to help. but the one in question has been custom done, at least from what I can tell, of taking two things and merging them into something new. best of luck. clicky you can download this all that you wish, however if you want to use it and not be faced with copy right issues then you will have to contact the original artist and ask permission. I don't believe I saw it further in here but feel free to check around and in the site, I'm certain there's something while you wait for more assistance.